Preparations for the 2014 Signature Gallery are underway! 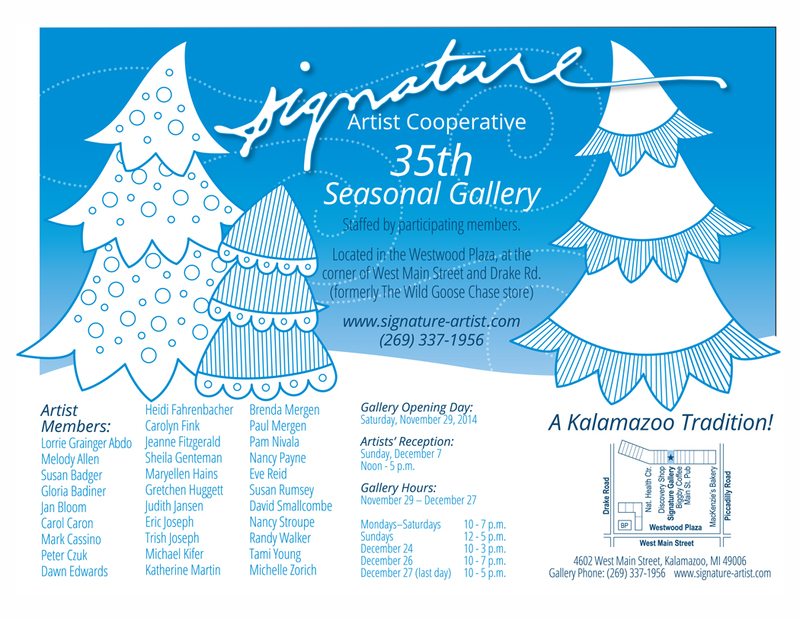 The gallery will open Saturday, November 29 with the Artist Reception on Sunday, December 7, from noon to 5 PM. This year I will be fully participating in the gallery and will have a large selection of framed prints, matted prints and note cards. So stop on in to see all of the great art work!